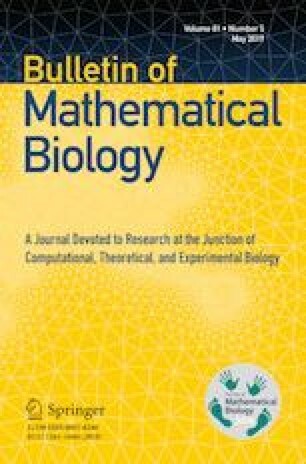 Mathematical modeling has revealed the quantitative dynamics during the process of viral infection and evolved into an important tool in modern virology. Coupled with analyses of clinical and experimental data, the widely used basic model of viral dynamics described by ordinary differential equations (ODEs) has been well parameterized. In recent years, age-structured models, called “multiscale model,” formulated by partial differential equations (PDEs) have also been developed and become useful tools for more detailed data analysis. However, in general, PDE models are considerably more difficult to subject to mathematical and numerical analyses. In our recently reported study, we successfully derived a mathematically identical ODE model from a PDE model, which helps to overcome the limitations of the PDE model with regard to clinical data analysis. Here, we derive the basic reproduction number from the identical ODE model and provide insight into the global stability of all possible steady states of the ODE model. This work was supported in part by the JST MIRAI (to SN, KW, and SI), PRESTO (JPMJPR14M1 to SI and JPMJPR16E9 to SN), CREST (to YA and SI), and AIP-PRISM (JPMJCR18Z1 to YA) program; Japan Society for the Promotion of Science (JSPS) KAKENHI Grant Nos. JP15K17585 (to TK), JP16K05265 (to SN), JP17KT011917, JP18K1737108 (to YA), JP18KT0018, JP18H01139, JP16H04845, JP16K13777, JP15KT0107, and JP26287025 (to SI); Grants-in-Aid for Scientific Research on Innovative Areas from the Ministry of Education, Culture, Science, Sports, and Technology (MEXT) of Japan JP16H06429, JP16K21723, JP17H05819, JP18H05103 (to SI), and JP17H04085 (to KW); the Japan Agency for Medical Research and Development, AMED; JP17fm0208006h0001, JP18fm0208019h0102, JP17fm0208014h0001, JP18fk0210036j0001, JP18fk0310114h0102 (to SI), JP18fm0208019j0002, and JP18fk0210036j0001 (to KW); the Mitsui Life Social Welfare Foundation (to SI); the Shin-Nihon of Advanced Medical Research (to SI); a GSK Japan Research Grant 2016 (to SI); the Mochida Memorial Foundation for Medical and Pharmaceutical Research (to SI); the Suzuken Memorial Foundation (to SI); the SEI Group CSR Foundation (to SI); the Life Science Foundation of Japan (to SI); the SECOM Science and Technology Foundation (to SI); the Center for Clinical and Translational Research of Kyushu University Hospital (to SI); Kyushu University-Initiated Venture Business Seed Development Program (GAP Fund) (to SI); and The Japan Prize Foundation (to SI). The authors thank Edanz Group (www.edanzediting.com/ac) for editing a draft of this manuscript. KK, TK, SN, YA, and SI performed the mathematical and computational analyses. SN, KW, and SI supervised this study. KK, TK, SN, YA, KW, and SI wrote the paper.